THIS WEEK THE banking inquiry was back in full swing with former Irish Nationwide CEO Michael Fingleton appearing before it. There has also been a development in the controversy surrounding AIB overcharging some of its customers. Here is all the week’s property news. This week the former CEO of Irish Nationwide Michael Fingleton has appeared before the banking inquiry. The former banking boss stated that he did not regret any of the decisions that he had taken in his time in charge, and that he continued to personally pay the price for the financial collapse. He went on to state that he felt that the public were the victims of the downturn in the United States and the failure of a number of international financial organisations. This home in Dalkey has come onto the market for €10.5 million. The lavish mansion was built by Dublin physician Dominic Corrigan in the mid-19th century. The home has its own private dock and boat house for holding parties. Basketball player LeBron James’ mansion in Miami has just sold for €12 million. Earlier this week, a family were given some ‘breathing space’ by the High Court to try and save their family home. AIB has repaid €3.7 million to business customers who were overcharged. A woman has told the High Court that she was left ‘black and blue’ after being evicted from her home. Neil Young is hardly known for his opulence. With that in mind, it may come as a surprise that the veteran rock star owns a multi-million dollar Hawaiian hideaway. His estate has come onto the market for $24.5 million (€22 million), reports Business Insider. In recent weeks there has been the disturbing news Isis has destroyed a number of heritage sites in Syria. Thankfully, teams at Harvard and Oxford have teamed up with UNESCO World Heritage to help digitally preserve historic monuments, reports ArchDaily. Email “This week’s vital property news: The banking inquiry and a plush home in Dalkey ”. 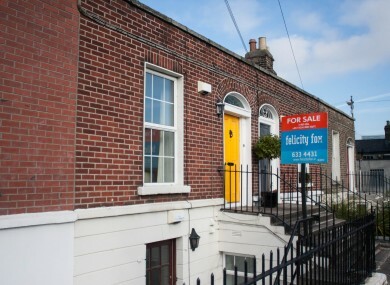 Feedback on “This week’s vital property news: The banking inquiry and a plush home in Dalkey ”.